In his first official act, President Obama issued a proclamation declaring today "National Day of Renewal and Reconciliation 2009." This Act is a "call upon all of our citizens to serve one another and the common purpose of remaking this Nation for our new century." As I take the sacred oath of the highest office in the land, I am humbled by the responsibility placed upon my shoulders, renewed by the courage and decency of the American people, and fortified by my faith in an awesome God. On this Inauguration Day, we are reminded that we are heirs to over two centuries of American democracy, and that this legacy is not simply a birthright -- it is a glorious burden. Now it falls to us to come together as a people to carry it forward once more. So in the words of President Abraham Lincoln, let us remember that: "The mystic chords of memory, stretching from every battlefield and patriot grave to every living heart and hearthstone all over this broad land, will yet swell the chorus of the Union, when again touched, as surely they will be, by the better angels of our nature." NOW, THEREFORE, I, BARACK OBAMA, President of the United States of America, by the authority vested in me by the Constitution and laws of the United States, do hereby proclaim January 20, 2009, a National Day of Renewal and Reconciliation, and call upon all of our citizens to serve one another and the common purpose of remaking this Nation for our new century. IN WITNESS WHEREOF, I have hereunto set my hand this twentieth day of January, in the year of our Lord two thousand nine, and of the Independence of the United States of America the two hundred and thirty-third. 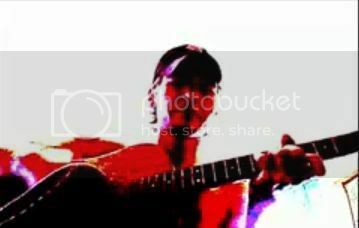 Check Out My Music Blog!